RCS Show Opening Feb 28.2019 The Annex. Sri Prabha is a multidisciplinary artist who integrates into his aesthetic process, tenants of geography, nature, time, human origins, and the cosmos. 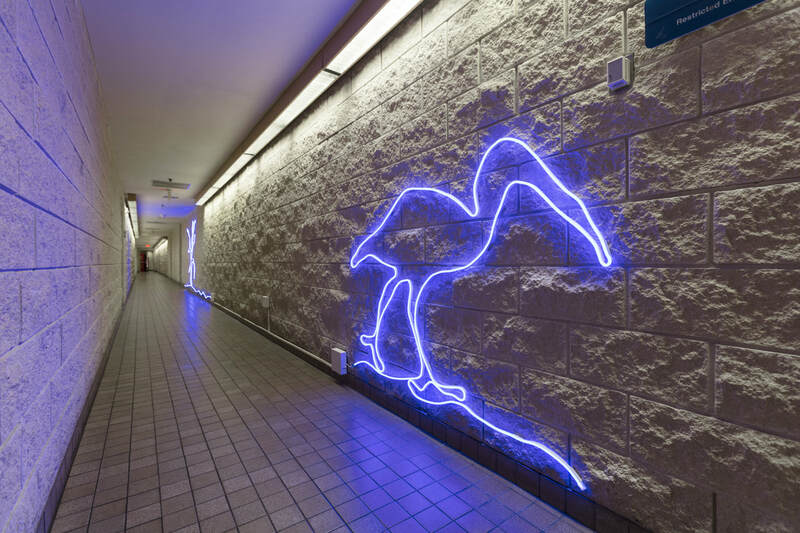 His works manifest across a range of mediums that include installations, video, light art, sculptural paintings, and sound. 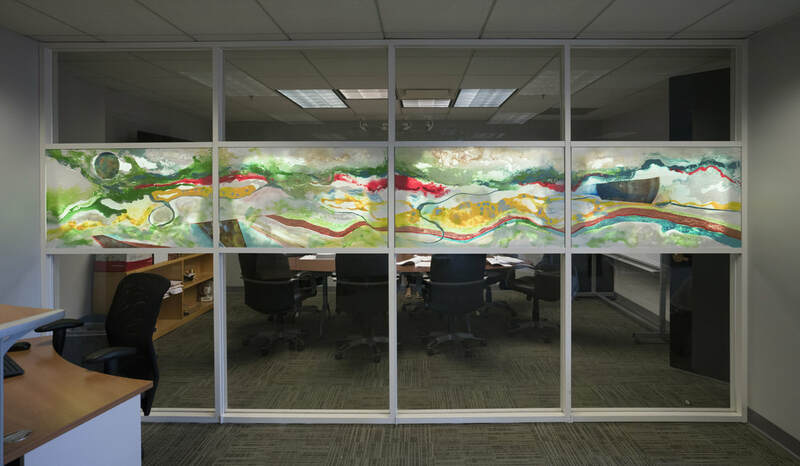 Sri has worked with county public art projects, corporate commissions, curators for museums and private collectors, interior designers, and art consultants. Sri’s recent awards include the 2016 South Florida Cultural Consortium Fellowship and a permanent public art project for the Governmental Center in Fort Lauderdale. Telluric Inception, Mixed media on Tyvek, 60"x60"
Cosmic Stream. 30"H x16' W. Mixed Media and LED lighting. Installed at Wang Law. SF, CA.